Facilities for outdoor family pursuits are available at the recreation ground in School Lane. There is a modern playground with swings, slide, see-saw, climbing frame and a football goal. 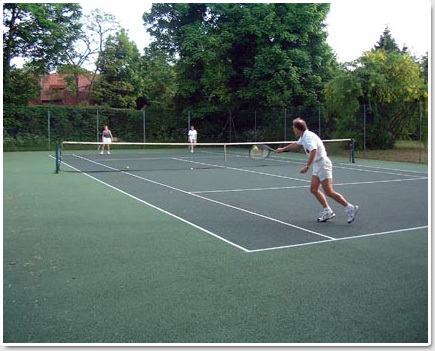 The equipment was renovated in 1999 and bark chippings laid to provide a safer play environment. 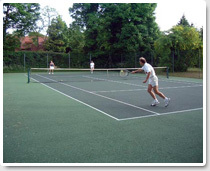 The Parish Council maintains the excellent tennis court which is available for local people. An annual subscription of £60 (doubles) and £30 (singles) is charged for which a key is issued. The court is also available for occasional play for £5 per hour, a key being available at Cherry Trees, money to be placed in the envelope provided and posted into the box. Booking is essential to avoid disappointment - a booking form is by the court.